I was surprised by how much hard physical labor was done by women in Burkina Faso. Every day I would watch a long line of women carrying firewood on their heads for use in the village; and these were not light loads of firewood. 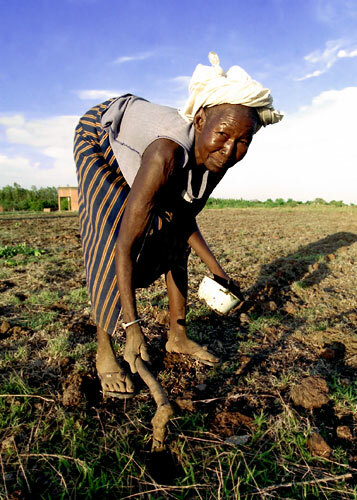 Even many older women could be seen hunched over in the fields, planting seeds in the family field. This woman is using a \"dabba\" for just such a task.